The best prams and strollers, toys and products for children win the KIDS' TIME STAR statuettes. Following the previous editions’ tradition, the most innovative products win the KIDS' TIME STAR statuettes. The Jury Panel chaired by Marek Jankowski, the publisher of the BRANŻA DZIECIĘCA magazine, the expo media partner selected the winners. 4Kraft,Avionaut, GRANATOVO, Scandinavian Baby, G3 and MARIOINEX have now entered the award-winning companies fellowship. Artyk and Tako celebrated their anniversaries at the jubilee expo. 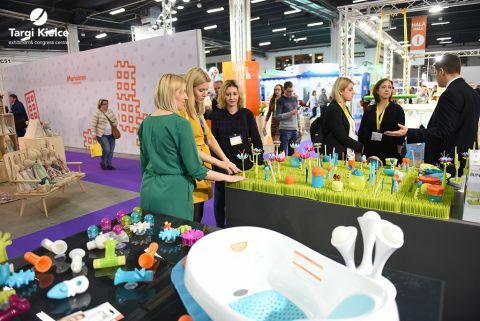 MARKO, Euro-Trade, PLAYMOBIL, "Children's Branch" and "Świat zabawek" - the companies which have participated in KIDS' TIME since the first expo edition were also honoured.- We have been here for 10 times in a row. 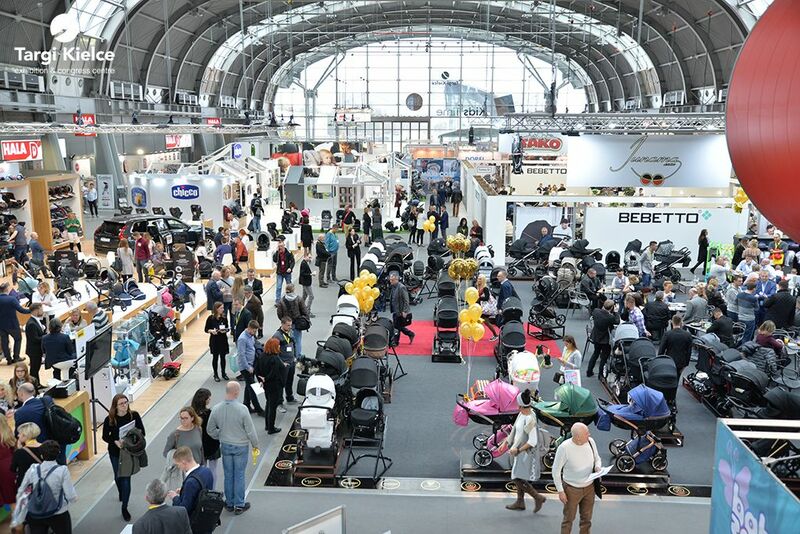 We started with 12 metre expo stand that has expanded to 700.We gained the nickname - the expo godfather. 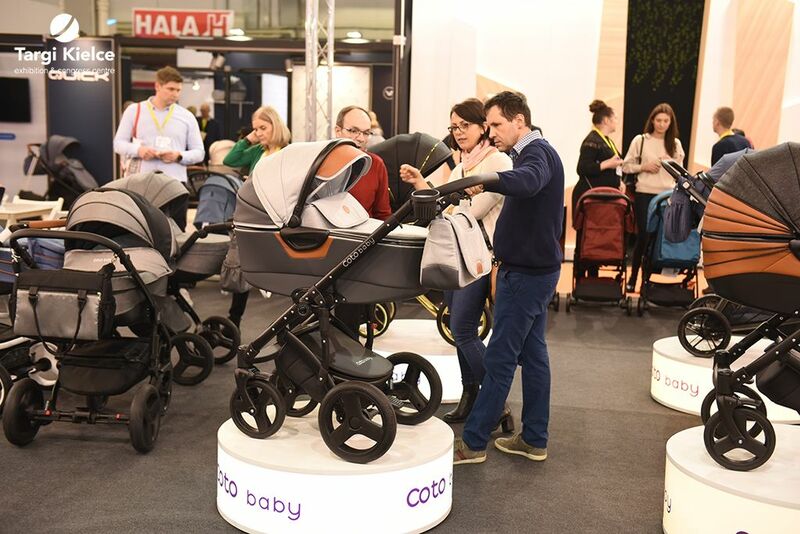 We were the first large company so closely associated with this trade fair - said Janusz Musioł, owner of Marko, the strategic partner of KIDS 'TIME. 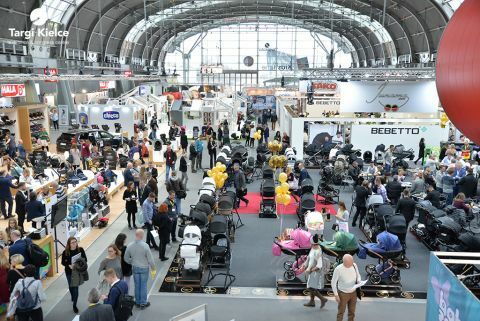 In addition to the rich and diversified exhibition offer, the expo agenda abounded with conferences and meetings. Social media and e-commerce specialists were the keynote speakers at the sessions. Reyne Rice - a world-renowned expert in children's toys made her presentation, which, as usually has generated an avid interest. Reyne Rice offered a deep insight into toy trends which reign supreme in European markets - movement - the product lines designed to make children take up physical activity are listed among the very popular trends. "WOW Effect" is also at the top. A child is surprised several times; it starts with choosing the toy. The child does not known what colour and shape the toy is. Some toys you have to even wash and dry to see their true nature. 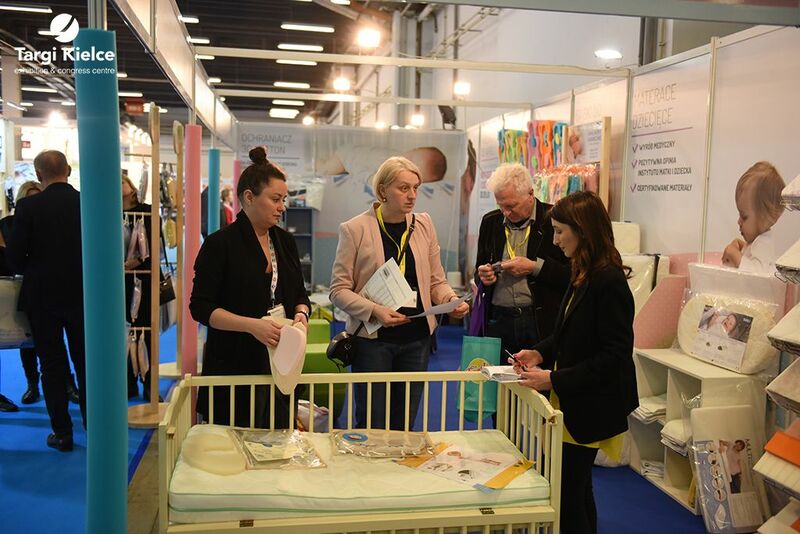 Paweł Szmidt, a representative of RMD Research talked about the excellent condition of the children's products industry. In his lecture Szmidt pointed out to the market’s over 5 percent increase compared to 2017. This is a sustained up-trend. However, parents tastes have changed - building blocks, are no longer in fashion, parents now opt for sport equipment as the top choice. Other lectures focused on loyalty programmes management methods with the use of the payment terminal. Important information on phthalates contained in toys were also provided at the expo. For the consecutive time, the expo was also the home for the Polish-Russian "Round Table" - the debate about the potentials and possibilities of the eastern markets. The meeting was a discussion platform for, inter alia Russia’s children's products market and pro-family policy, the children's clothing market in the context of the Poland-Russia relations. Representatives of Polish companies and Russian retail chains were the meeting’s active participants. KIDS' TIME has traditionally hosted representatives of the foreign press and media from Russia, Sweden, England, Germany, Turkey and the USA.They published their observations in Rody.ru, Lek & Babyrevyn, Nursery Online, Toys, Toy Book KidsOboz.ru and Baby&Kid Store.In addition to journalists, the trade show was graced with the presence of official delegations from Spain, Turkey, Russia, Ukraine, Estonia and China. The guest list included: Olga Kirillova - Chief Specialist in Export Support Management at the Moscow Export Centre the Russian Federation and Darja Gaidenraich - President of the Children's Industry Association of the Republic of Kazakhstan and the Director of Detstvo. This year's KIDS 'TIME offered sport excitement in a vintage unveiling... the special zone was created for the first time. That was the realm of retro toys and the best board games. The zone offered the possibility to try your hand and play games and the activities which date back to the People’s Republic of Poland’s times. This was also a display of museum exhibits and the toys awarded in the 10th edition of the "Kid-friendly toy" competition. The Kielce Museum of Toys and Play which celebrates its 40th anniversary took care of the proper setting. On the other hand, all enthusiasts of contemporary board games were offered a real treat - novelties and iconic products from Trefel, Granny, Rebel, Nasza Księgarnia and Tactica.The board games mechanics was also discussed in Wojciech Chuchla and Przemysław Wojtkowiak’s lecture, the representatives of the Rebel company.The listeners learned about the advantages of family games, what are the Eurogames and what mechanics are sealed in.Of course, the latest trends discussion was a must. Once the intellectual struggle over board games was over, the exhibitors had the chance to compete in the bowling tournament. In the LADIES category winners - Lena Hedö (Leksaks Revyn) before Elena Kakhanova (DETSKIY MIR VITA) and Anna Vorotnikova (FEST).Krzysztof Gebel (PULIO) was the player who scored the most strikes. 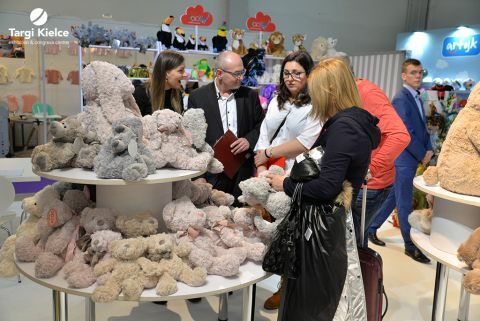 The team classification features the Mammutico company as the best team, the second place - the representatives of the "BRANŻA DZIECIĘCA Children's Industry" magazine, while the lowest rank on the podium is occupied by the Pulio company. Not only is the birthday a great opportunity to celebrate, but also to give a helping hand. This is a special year for us the KIDS 'TIME helps children who are at the same patients of the Stationary Hospice for Children and the Medical Centre, the Intervention Pre-Optional Centre Tuli Luli and the Centre for Therapy and Help for the Child and Family, CUKINIA, in which the children who are hurt and who experienced a hard-time receive support. All these initiatives are owed to GAJUSZ Foundation. The exhibitors had the opportunity to offer their products in order to support the Foundation. When you do good things, good things happen! For the consecutive edition, Targi Kielce has been the "Child-Friendly World" competition’s partner - this is a unique project of the Children's Rights Protection Committee. Once again, representatives of the blogosphere were the part of the expo. A dentist who is also a mother, the reptile-gadget blogger, a mother of a safe toddler, 2 plus 4 blogger... just to mention a few of those who called in the expo. For the first time, the expo hosted bloggers who deal with board games from - gradania and fanigiwe.net. The 11th International Fair of Toys and Products for Mother and Child KIDS' TIME is held in Targi Kielce from 19 to 21 February 2020. We look forward to seeing you.